Samsung J7 Prime After Root "Verification Failed" Show on Screen Fix. 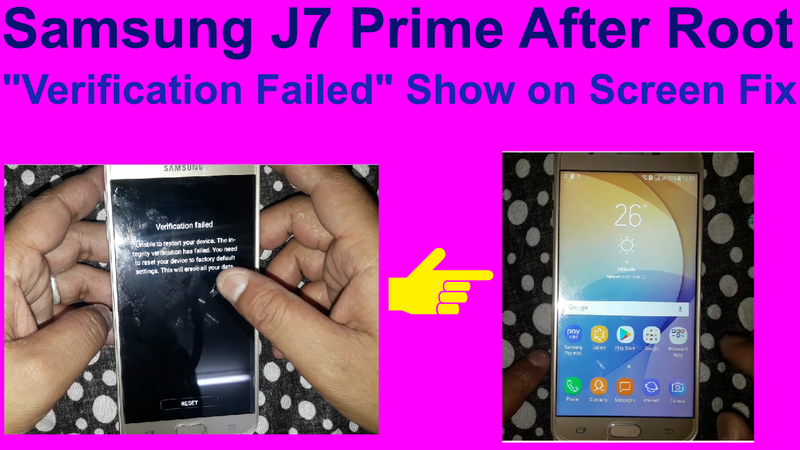 Samsung J7 Prime After Root 'Verification Failed' Fix Method. 1# After root j7 prime v7.0 show this problem. 2# Plase same time click volume up .volume down & power buttion. 3# Now your phone rebot recovry cwm. 4# Go to wipe data/factory reset option. 5# Go to Yes delete-all user data. 6# Few mins weatting process.